FULLY LOADED: Auto takeoff and landing; at the push of a button, the drone will safely launch and hover. The altitude hold will automatically take over and keep your drone suspended in mid air awaiting your control. Whether you are looking for a beginner drone to test your skills or you’re a seasoned pilot features like this make this drone perfect for kids and adults. 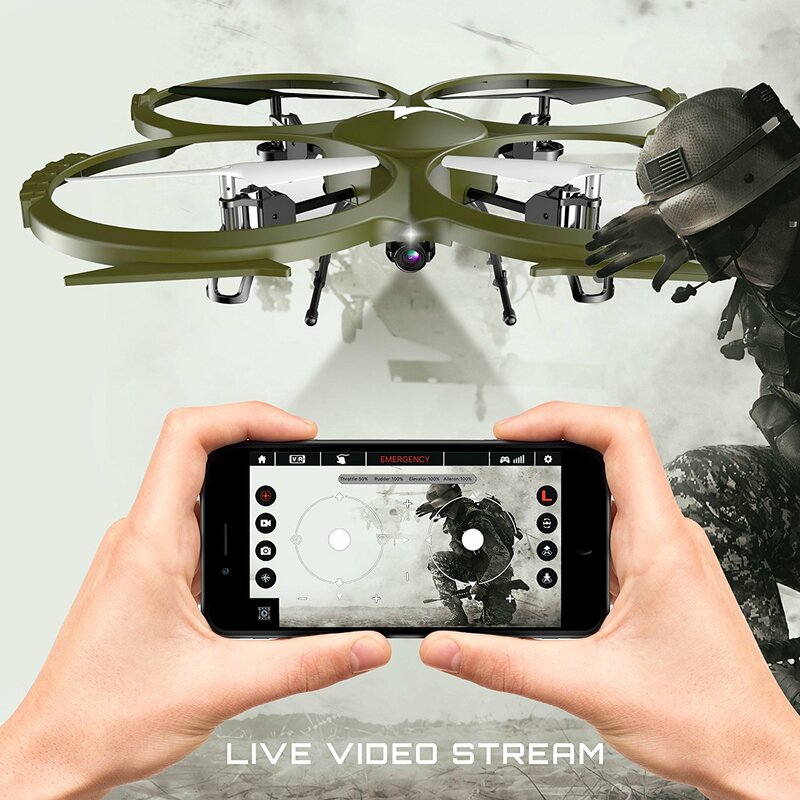 HD CAMERA STREAM LIVE AERIAL VIDEO: The Fly Kolibri app allows full drone control along with full 720p HD / 30 fps HD live video feed streaming in realtime directly to your Iphone or Android smart device. 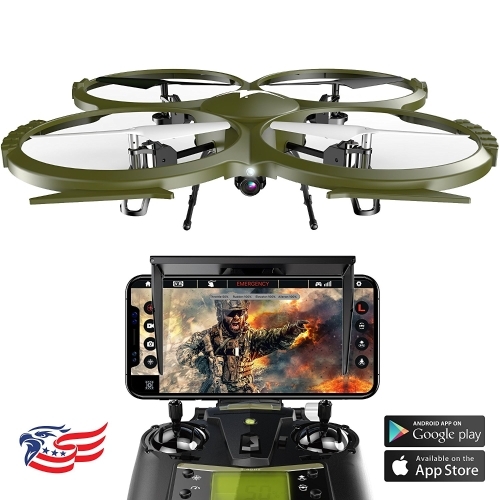 Don’t miss a second flying through the air performing 360° flips simply download the Fly Kolibri app from your favorite app store to unleash the controls. HEADLESS MODE: This simple feature is an intelligent-orientation mode that allows you to fly the quadcopter as if it were properly oriented, regardless of which direction the "nose" or front of the quad is pointed. Whether you are just beginning or a seasoned pilot a seasoned pilot this feature is designed to protect you and your quad. FIRST PERSON VIEWS: The Kolibri Discovery Delta-Recon takes advantage of smartphone app technology to enable First Person View (FPV) from your drone if you have a VR headset (not included). FPV puts you in the cockpit and lets you see exactly what your drone sees. Experiencing FPV flight has never been easier or safer. CUSTOMER SERVICE: We know your first time flying drones can be difficult. So whether you have questions about our features like; how to Record and Stream Live Video, Takeoff & Landing and controls, or just general maintenance questions or repairs we’re here for you. One of our dedicated customer service representatives will have you up and flying in no time.